Located on Bleeker St off Main St north of I-78, Extra Space Storage serves residents of Millburn, Union, Maplewood, Summit, Springfield Township, Short Hills, and more. Locals will recognize our facility east of Alpine Montessori School. Extra Space Storage is about 4.6 miles from Seton Hall University, providing convenient options for college students who need self storage over the summer or while studying abroad. With a wide selection of storage units, exceptional security, climate-controlled storage, and drive-up access, Extra Space Storage on Bleeker St can handle residential and commercial storage needs in Millburn! Our Millburn storage facility offers unit sizes from 5x5 to 10x30 with first-floor access, elevator access, and drive-up access. No matter what you plan to store, we have the perfect storage solution for you! With advanced security measures like 24-hour video surveillance and electronic gate access, you can store valuable items with confidence at Extra Space Storage. Protect items at our Bleeker St storage facility year-round in a climate-controlled unit! These units maintain temperatures between 55 and 80 degrees, keeping your belongings safe from extreme heat and cold. Units with drive-up access offer the ultimate convenience! Not only do drive-up units make it easy for you to pull a vehicle up for easy unloading and loading, but they can also be used for small vehicle storage. 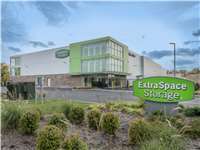 With a clean, secure, well-maintained facility and a friendly, professional team, it's easy to see why so many people choose Extra Space Storage for their self storage needs. We strive to deliver an incredible experience and excellent customer service. Contact us today to reserve a storage unit in Millburn! Drive south on Old Short Hills Rd. Continue onto Main St. Pass Taylor Park and continue south. Turn left onto Bleeker St. Our facility will be on your right. Drive north on Meisel Ave. Keep right and continue onto Maple Ave. Keep left and continue onto Main St. Pass I-78 and continue north. Turn right onto Bleeker St. Our facility will be on your right. Drive west on I-78 W. Take Exit 50A. Turn right onto Vauxhall Rd. Turn right onto Liberty Ave. Turn right onto Morris Ave. Turn right onto Maple Ave. Keep left and continue onto Main St. Pass I-78 and continue north. Turn right onto Bleeker St. Our facility will be on your right. Drive east on I-78 E. Take Exit 49A. Merge onto Springfield Ave. Turn right onto Main St. Pass I-78 and continue north. Turn right onto Bleeker St. Our facility will be on your right.